Biafra Nations Youth League, BNYL has faulted the arrest order and revoked bail of Mr Nnamdi Kanu, leader of the Indigenous People of Biafra, IPOB by the Federal High Court sitting in Abuja presided over by the trial judge, Justice Binta Nyako. 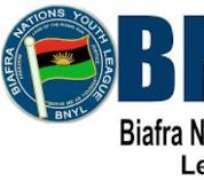 BNYL condemned the court order in a reaction by its Deputy Leader and Director of Operations, Biafra Broadcasting Service, BBS TV, Ebuta Ogar Takon in a statement he signed and made available to newsmen on Friday. While it lashed out at the court, Takon described the judicial system in Nigeria as the most corrupt arm of government in Nigeria, worst than the Politicians. He said "the judicial system is regarded as the last hope of the common man in every nation, but in Nigeria the reverse is the case Instead the court harbors corrupt judges worst than Politicians". The Ejagham son said that the court aught to have considered the illegal invasion of Umuahia by men of the Nigerian Army during Operations Python Dance that forced the IPOB leader to flee for safety. He challenged the federal government to arrest the leader of Boko Haram for trial "it will make sense if the court orders the arrest of Boko Haram Leaders for trial"
He continued "because Biafra agitators are visible they feel they can exercise power over us, they are simply encouraging us to go underground because no one would want to be handled by the enemies in Nigeria, and they should know the implications of we going underground, it will be terrible and disastrous even more than Militancy"